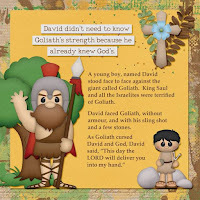 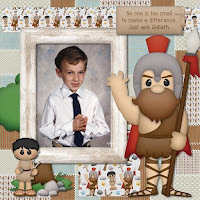 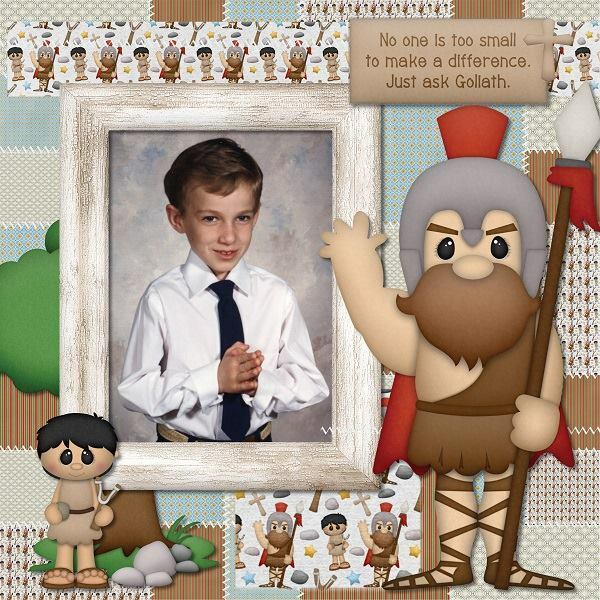 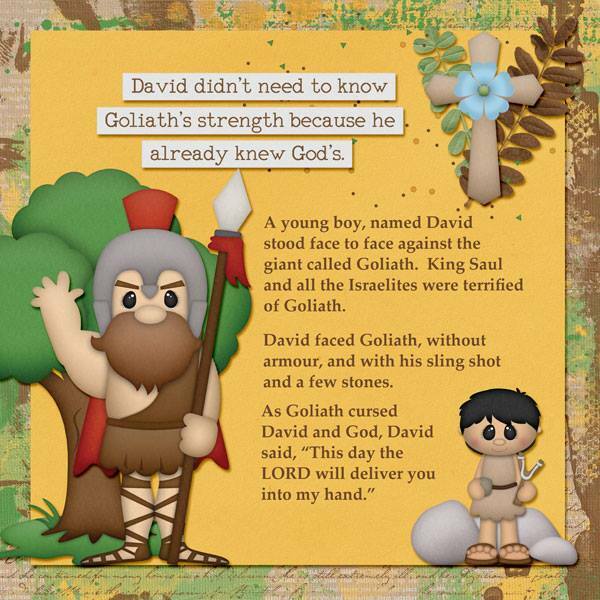 A classic Bible story, "David & Goliath" tells the story of a young man who puts his faith in God and was able to, against all odds, defeat a giant with nothing more than a slingshot and stones. 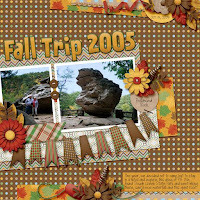 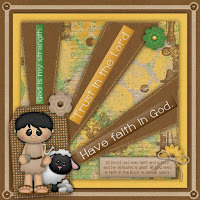 This kit is perfect for documenting the trials in your life and how you were able to overcome them. 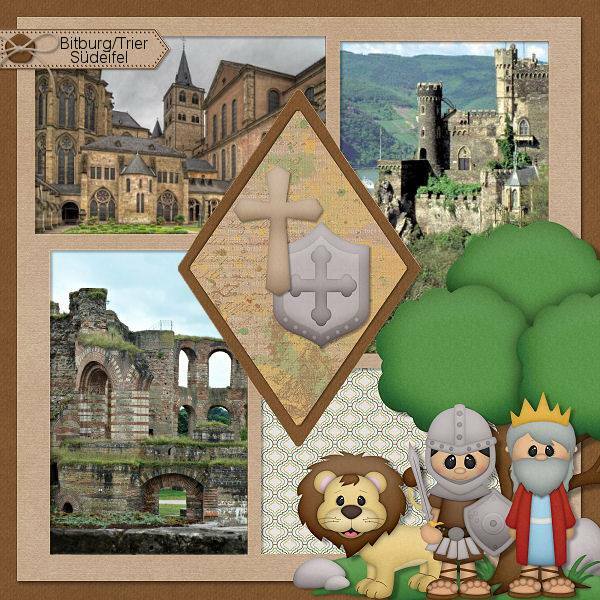 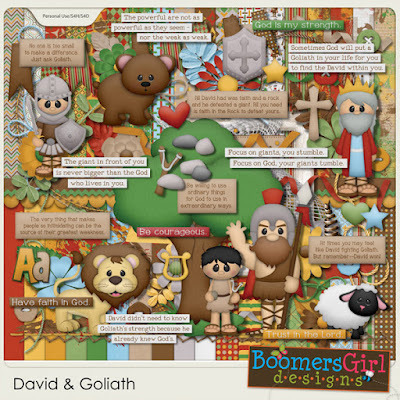 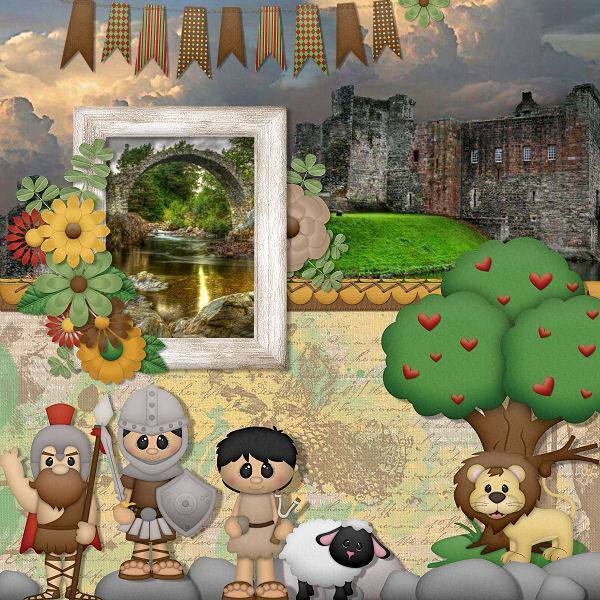 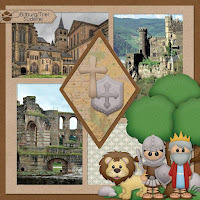 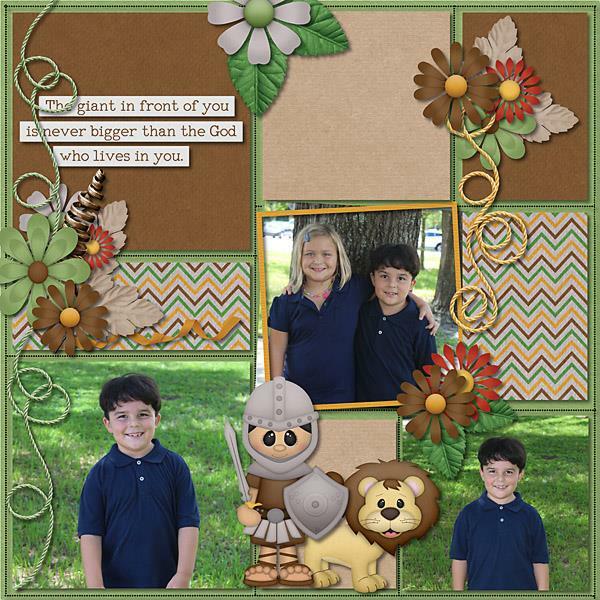 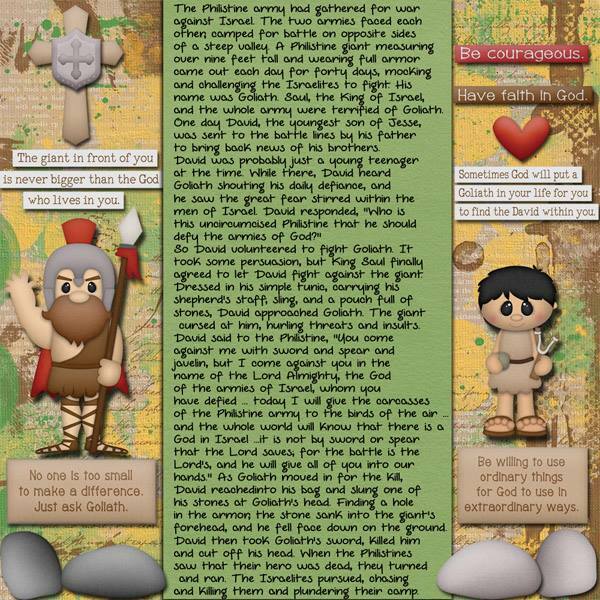 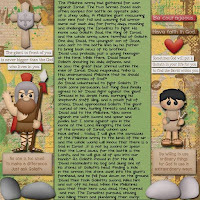 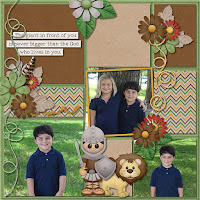 It's also a wonderful kit to make your own Bible storybooks, for Sunday School lessons and so much more.